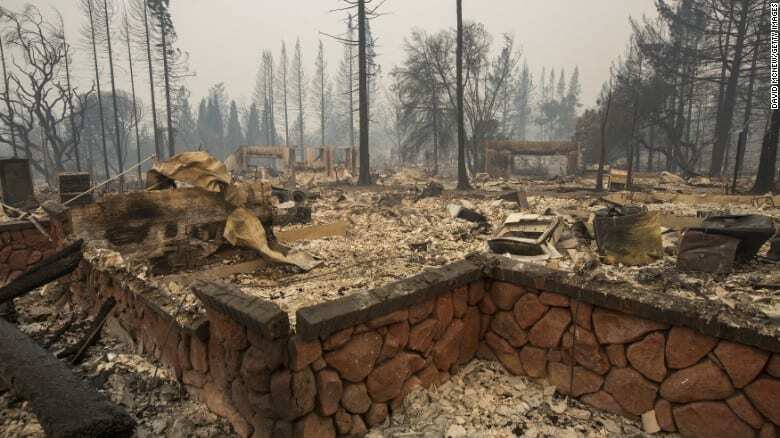 The California Department of Public Health (CDPH) is warning people to be especially careful when cleaning up ash left by wildfires. The ash may contain many toxic substances, including arsenic, asbestos, lead and fine particles that can aggravate asthma and other respiratory problems. Never use a leaf blower, as it will spread the ash and blow it back into the air. Wear a close-fitting respirator rated N-95 or P-100 to block ash particles from being inhaled. Bandanas, surgical or cloth masks do not effectively block fine particles. Wear protective gloves, long-sleeved shirts, long pants, socks and shoes to avoid skin contact with ash. Remove shoes before entering your home or use “sticky mats” in entryways to remove dust and ash from your shoes. Sticky mats are sold at hardware stores. If you do get ash on your skin, wash it off as soon as possible. Do not let children play in ash and wash off toys before children play with them. Keep pets out of ash areas. Pets exposed to ash should be cleaned or bathed.